AGC Partners is pleased to announce that its client, IID Security, a leading provider of actionable threat intelligence, has been acquired by Infoblox, a leading network control solutions company. 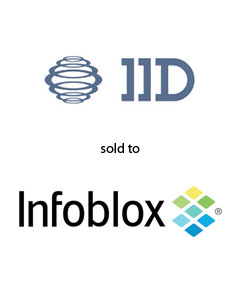 The acquisition of IID makes Infoblox the first enterprise-grade DDI vendor that combines contextual network data with federated threat intelligence and a dedicated threat research team, to provide context-aware security using infrastructure that customers already have in place. With a team led by Maria Lewis Kussmaul, and including Eric Davis and Hanna Yu, AGC Partners acted as sole financial advisor to IID.